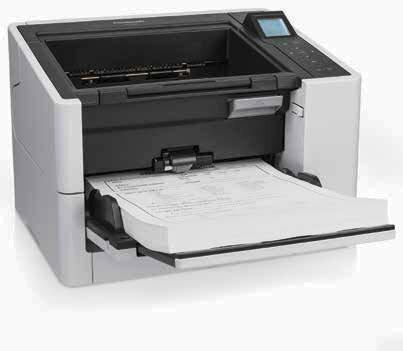 The Fujitsu fi-6800 scanner offers best-of-breed technology and has been tailored specifically for high volume applications. Combine a rated speed of 130 ppm (Simplex) and 260 ipm (Duplex), both high-speed USB 2.0 and Ultra Wide SCSI interface connectivity. Options including Kofax VRS software as well as three Ultrasonic double feed sensors and you have the ideal scanner to quickly and efficiently transform piles of paperwork into usable electronic data. Combine a rated speed of 130 ppm (Simplex) and 260 ipm (Duplex), true 600-dpi optical resolution, dual-CCD scanning arrays and a black/white switchable background offer maximum flexibility with a wide variety of applications to achieve outstanding image quality. The scanner fits the bill in demanding environments such as service bureaus, backfile conversions or many other paper-intensive industries delivering a daily duty cycle of up to 60,000 sheets (fi-5900 is 100K per day) and consumable life of 600,000 sheets. 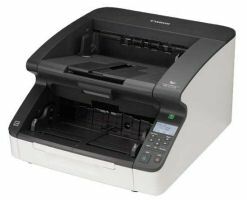 The 500 page automatic document feeder (ADF) accommodates a wide range of documents sizes from 2.07” x 2.91” to 12” x 17” with long document scanning capability of up to 120”. Whether the infrastructure is fixed or expanding, managing technology efficiently inside the organization is key to reducing total cost of ownership and the Fujitsu fi-6800 scanner provides system administrators with advanced software tools to centrally manage the scanner more productively and cost effectively. 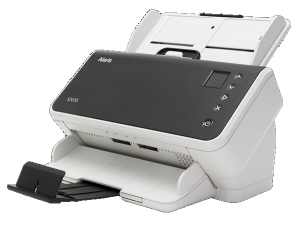 The fi-6800 scanner can be upgraded with a pre or post scan, imprinter option. ADF minimum:2.1 in. x 3 in.